Yes, she heads the United Nations Office for Outer Space Affairs. No, she has not been appointed to represent the Earth in future negotiations with aliens. 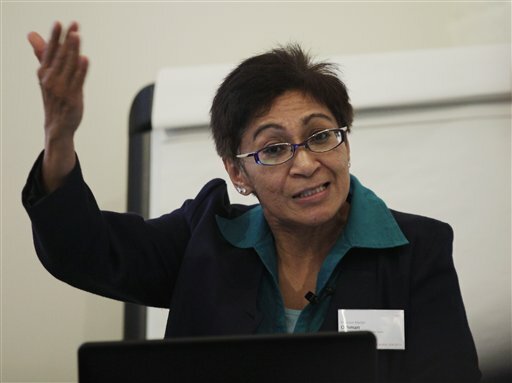 That's the word from Mazlan Othman, who Tuesday debunked British press reports indicating she would be Earth's ambassador to beings from outer space if they land in "Take me to your leader" mode. Still, it's apparent she kind of likes the idea.